on the "Solve This Crime" caption below each Crime of the Week article. After submitting your information, you will be given a code number. Please do not share this code number with anyone! You will need to know this number when you call to check on the status of your tip! 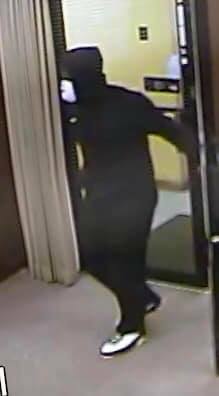 Brazoria Police Department is looking for 3 male suspects related to a Robbery at the Brazoria Branch, First National Bank located at 100 E. San Bernard St.
3 Males entered the Bank at approximately 9:00 am on December 7, 2018 2 of the men were armed with handguns. The suspects took an undisclosed amount of money and fled south on foot. The 3 suspects were described as, suspect one black male medium build approximately 5”9 to 5”11 wearing a black Nike hoodie, black pants and white and black shoes. The second suspect was described as a light complected black or Hispanic male 5”8 to 5”11 medium build wearing a red t-shirt covered by a black hoodie with unknown white logo on forehead the hoodie was covered by an Alabama Crimson Tide sweater, black pants and black shoes. 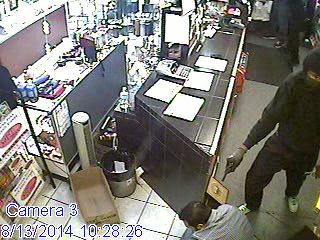 The third suspect black male 5”9 to 5”11 slim build, wearing a beige and blue hoodie, black pants and black and white shoes. 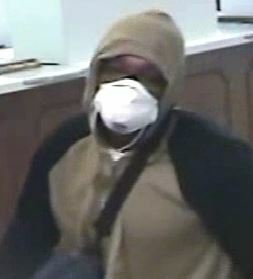 All Three suspects were wearing white dust mask and blue gloves with black textured grip. Two of the subjects carried duffel bags, one was black and the second was blue. This investigation is currently ongoing and Brazoria Police Department is currently working with the FBI. Police are on the lookout for someone who swiped doors from a bunch of brand new homes, and we’ve learned the case may be connected to similar crimes in another suburb. The type of door that was actually taken features more expensive leaded glass, valued between $900-$1,000. 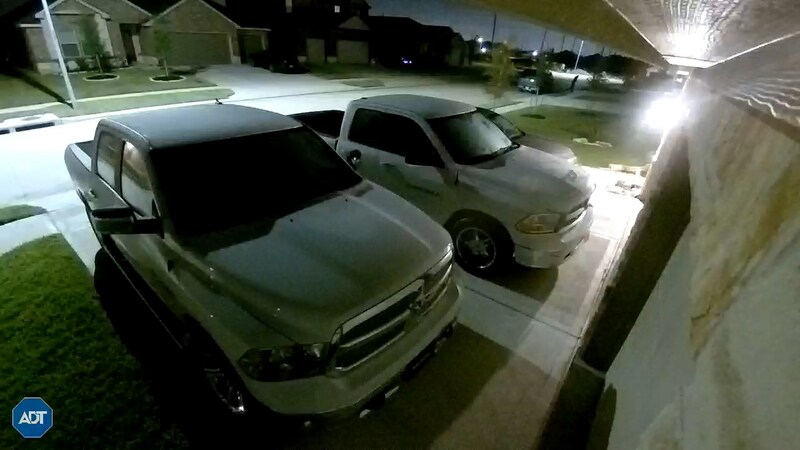 The Manvel Police Department released photos of a possible suspect who was caught on a home surveillance camera in a pickup truck with a unique multi-level camper top. “The vehicle is seen passing by the camera with no doors in the back of it and leaving with doors in the back of it,” said Det. Michael Chapnick. 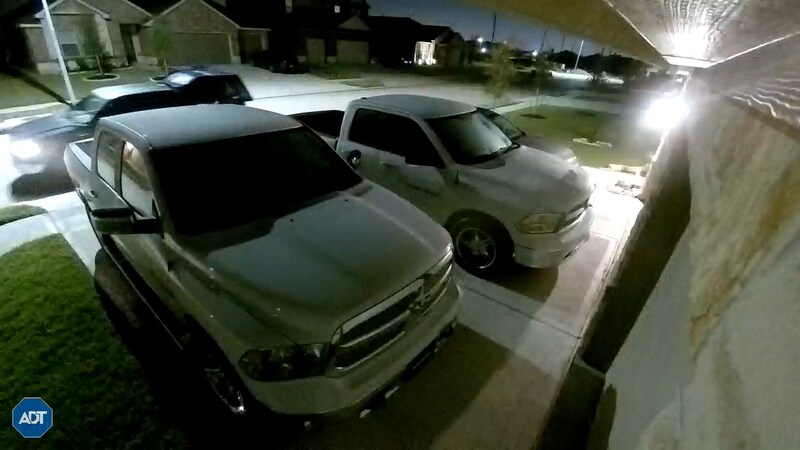 It is a Dark Green Ford Truck(possibly Ranger) operated by a Hispanic Male, approx. 40, 5'10" or so, average build, and a mustache. The vehicle may be an F-150 as well. The vehicle obtained 6 doors from newly built houses in the Rodeo palms Sub-Division. 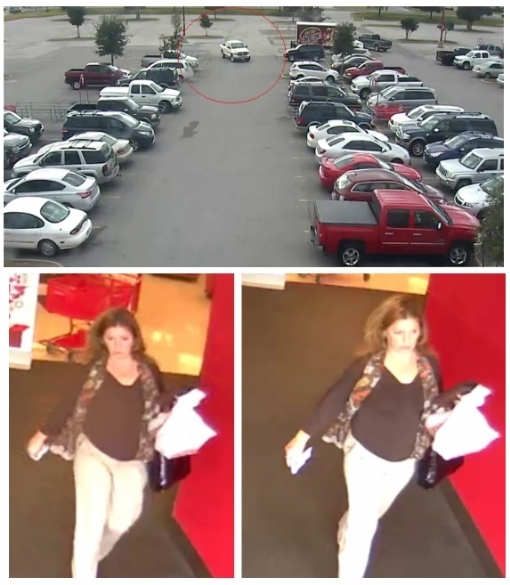 In reference to this case a 75 year old female reported on 05/28/2018, that her purse had been stolen out of a shopping cart while she was at a store located within the 100 block of SH 332 West. After making the original report, the victim learned that her debit card was used without her consent at this same store. Security footage of the unauthorized transaction was obtained and images from the video were put on Facebook in hopes that the suspect could be identified. 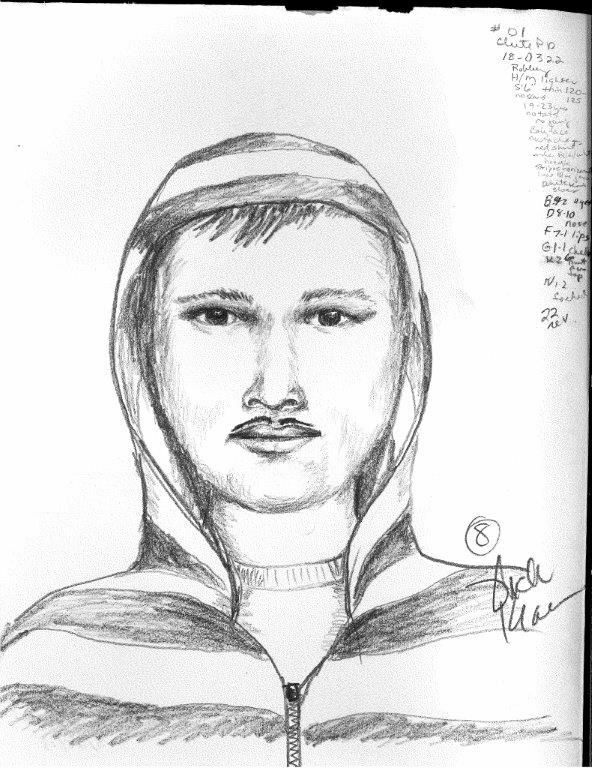 The suspect is a white male, appearing to be in his 20’s, with medium build and brown hair. 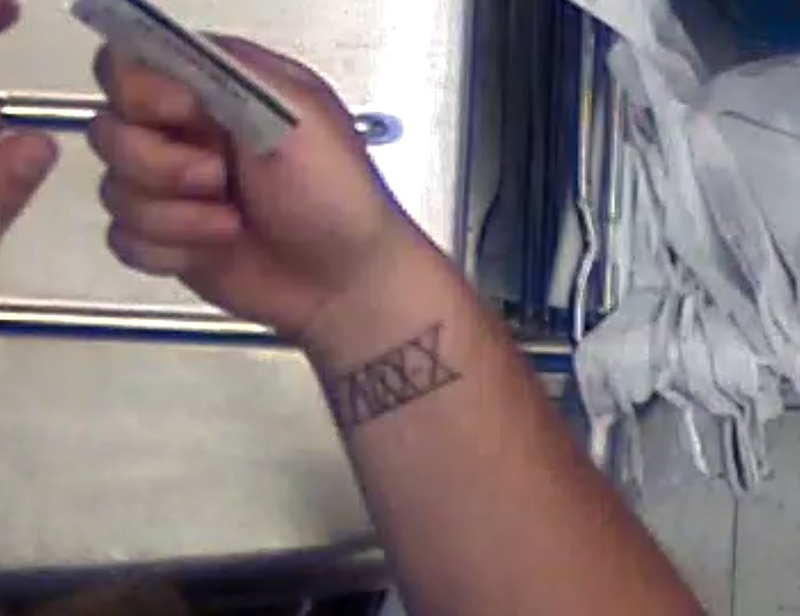 The suspect further has a noticeable tattoo on his right wrist, which appear to be Roman numerals [possibly X-XXIV (10-24)]. 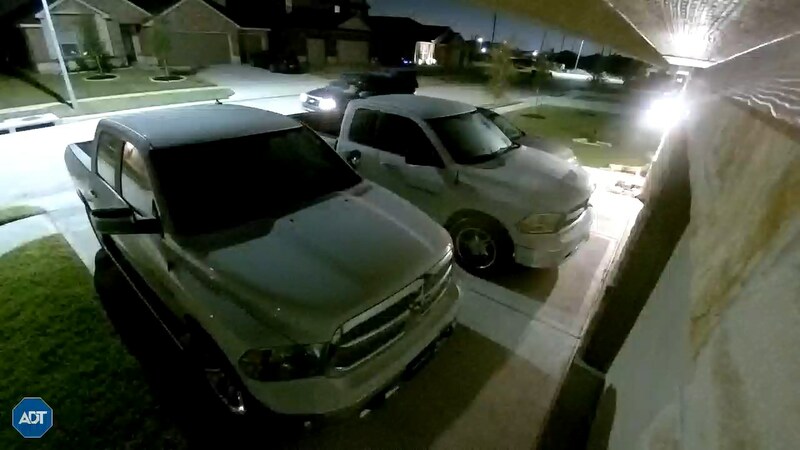 A reward of UP TO $5,000.00 is being offered through Brazoria County Crime Stoppers for Information leading to the arrest and conviction of the persons or persons involved. ??????? On 07-19-2018 The Brazoria County Sheriff's Office responded to the Varner Hogg Plantation State Historic Site located at 1702 North 13th Street West Columbia, TX in reference to a Burglary. 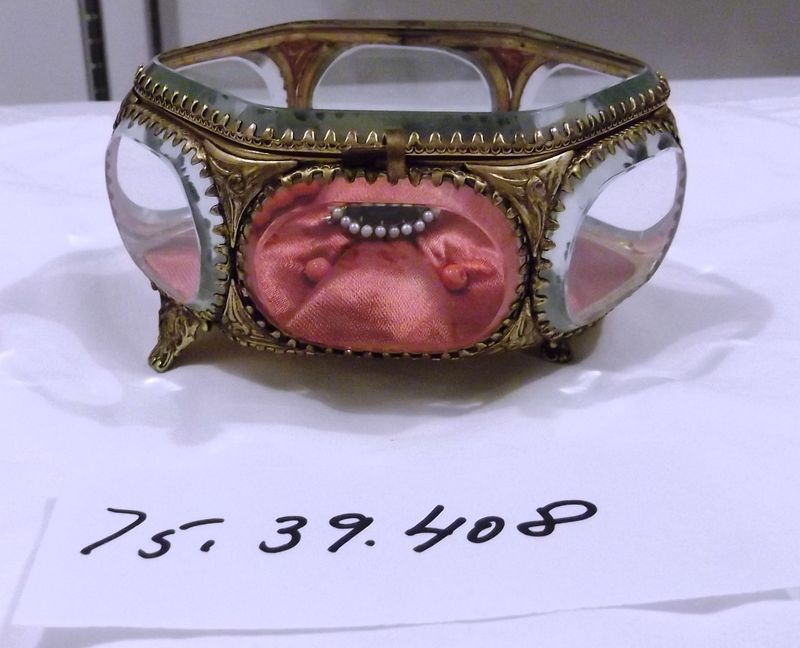 It was discovered that between the hours of 7:00 PM on Wednesday July 18th to 7:00 AM Thursday July 19th unknown persons or persons made unlawful entry into the museum building of the historic site and removed a brooch with significant historic value. The brooch is reported to have once belonged to Ima Hogg, daughter of once Texas Governor Varner Hogg. 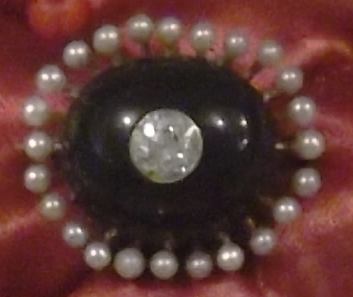 The brooch is described as a black carbon, round pin with a diamond at the center and pearls extended around the outer edge. The black carbon portion is from the Spindletop oil gusher, Beaumont, TX, 1901. The dimensions of the brooch are described as LN: 1" X HT: .75" X DP: .59". Along with the brooch a jewelry display box was taken in which the brooch was located and displayed in. The dimensions of the box are Approximate Size: LN: 4.61"
X HT: 3.82" X DP: 2.36". Attached is a photo of the brooch as well as the display box. 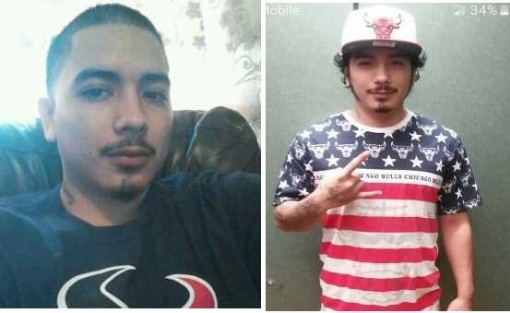 A reward of UP TO $5,000.00 is being offered through Brazoria County Crime Stoppers for Information leading to the arrest and conviction of the person or persons involved. Persons with information should contact Crime Stoppers at 1-800-460-2222. ALL FOUR JUVENILES HAVE BEEN CHARGED AND ARRESTED. On 07-02-2018 I have Brazoria County Sheriff's Office offense report number 1807-0026 Criminal Mischief, and Criminal Trespass. 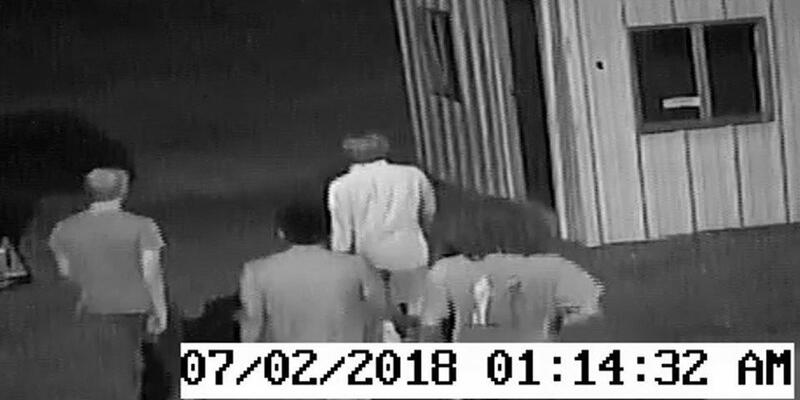 The Brazoria County Fair Association reported that several of the buildings down at the BBQ Cook-off area, and Rodeo Arena had been damaged by suspect or suspects, during the course of these suspects causing damage to property, several suspects were captured on Security Surveillance Camera. On 07-09-2018 I have Brazoria County Sheriff's Office Offense report number 1807-0173 Burglary of Building located at the Brazoria County Fair Grounds, Reported by the Brazoria County Fair Association. On 07-09-2018 Deputies responded to the Brazoria County Fair Grounds for a break in at the Main Office, During the course of entering the building the suspect or suspects gained entry by an open and unsecured window which leads into the treasures office. Suspects entered the office and removed money and checks that were laying open on a desk. The checks were made out to the Brazoria County Fair Inc. in case someone should try and cash these checks. Through our investigation reveals that this occurred sometime between the hours of 0100 hrs. and 0200 hrs. A reward of UP TO $5,000.00 is being offered through Brazoria County Crime Stoppers for Information leading to the arrest and conviction of the persons or persons involved. 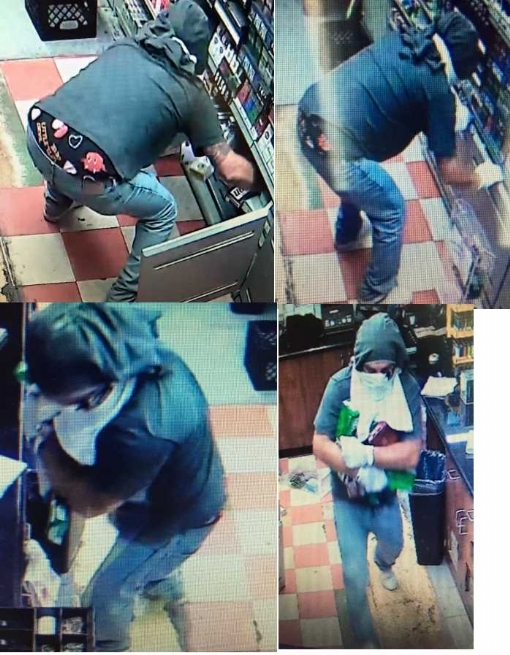 On 06/20/2018 at approximately 0845hrs there was an Aggravated Robbery call received from the A&A Stop and Shop gas station at 14818 SH 6 in Rosharon,TX. 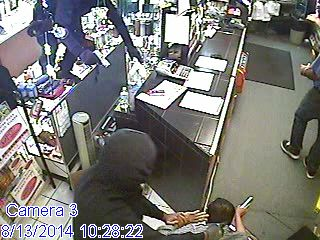 In the still shots posted above you can see that there were 2 unidentified males that entered the store to commit the robbery. The first black male subject listed as “Suspect 1” above can be described as being between 5’5 and 5’7 in height. The second suspect listed as “Suspect 2” above can be described as being between 6’0 and 6’2 in height. These subjects entered into the front door of the business and approached the victim’s from behind the counter as they were working on their daily opening routines. I have also attached still photographs of the vehicle the 2 unidentified subjects are seen to have emerged from at the time of the robbery. It can be best described as being a Dark Gray 2013-2015 4-door Honda Civic. Both suspects that entered the store are presumed to have been armed with what appeared to be black 9mm handguns as they hit one of the victim’s multiple times in the head with the black handgun. After only 3 to 4 minutes inside of the store the suspects exits the front door after getting away with approximately $1,100 in assorted cash, a carton of Marlboro Cigarettes, and approximately 10 round hats. 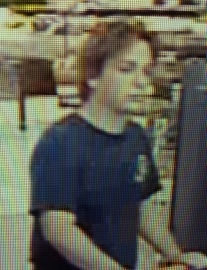 Lake Jackson Police Department is seeking information in regards to an Aggravated Robbery that occurred on May 13, 2018 at Bucees in the 100 block of FM 2004 in Lake Jackson. 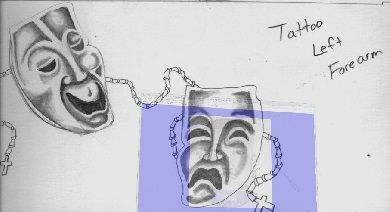 Suspects are described as two black males, one with distinctive tattoos on his arms. If you have any information please submit a tip through Crime Stoppers. 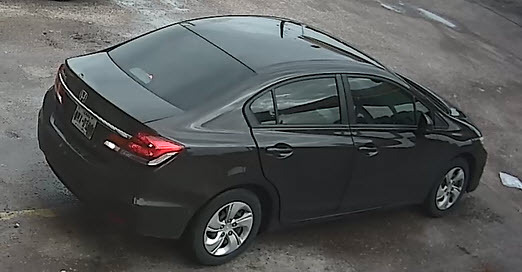 Agg Robbery in the parking lot of apartment complex located in the 100 Blk of Hackberry 3-28-18 at approximately 5 a.m.
A lady was going to her vehicle to go to work when a slight built, young Hispanic male approached her wearing jeans/red shirt under a blk/white hoodie with a black gun and asked for everything she had. He was with another Hispanic male in a grey colored vehicle. He took money and cigarettes. (1500 Series), white or light colored. Road 59/48, which was under construction at the time. left front of the vehicle as well as the front grill. This subject broke into the 3 Star Food Store last night and stole cigarettes. Not a lot to go on in these pictures but someone may recognize the clothing. If you have any information on the person`s identity, please leave a tip here or PM us on Facebook. 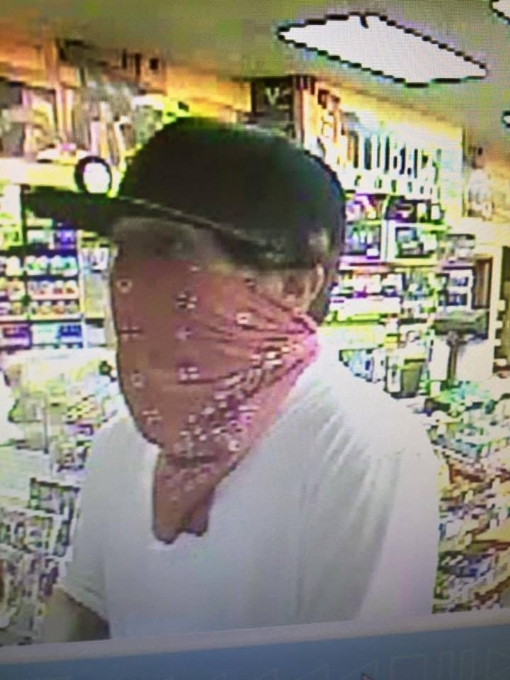 Aggravated Robbery at the Valero in Freeport on August 12th. 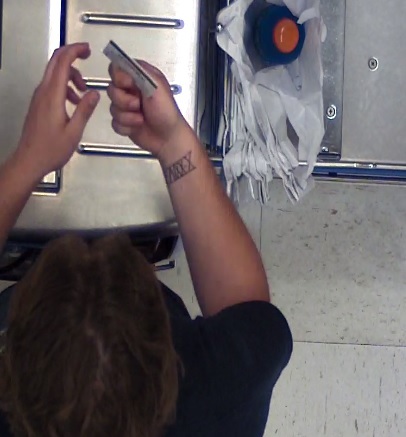 The pictured suspect appears to have tattoos on his arm(s), is a light skinned male in his early 20s with a thin build, and is 5`6"-5`9" tall. You can leave us a tip on this page or PM Freeport Pd on Facebook. He was brought back from Hildago County which U.S. Marshalls/ICE took possession of him from Mexican authorities. Waiting for trial. On July 26, 2016, in the 300 block of Old Angleton Road (down the street from Clute PD). Between the hours of 9:45 p.m. and 10:15 p.m. Three males rushed into the residence when victim opened the door, the two occupants, were shot and beat. Two arrests were made. A pending warrant for Evaristo Castillo Meza Jr. DOB/08/12/1992, 24 years of age, Hispanic Male, approximately 503/145 pounds, blk/bro. At the time of the murder this person had long hair. He is Wanted for Murder and lives in Freeport area. Remember.....We pay CASH FOR TRASH! 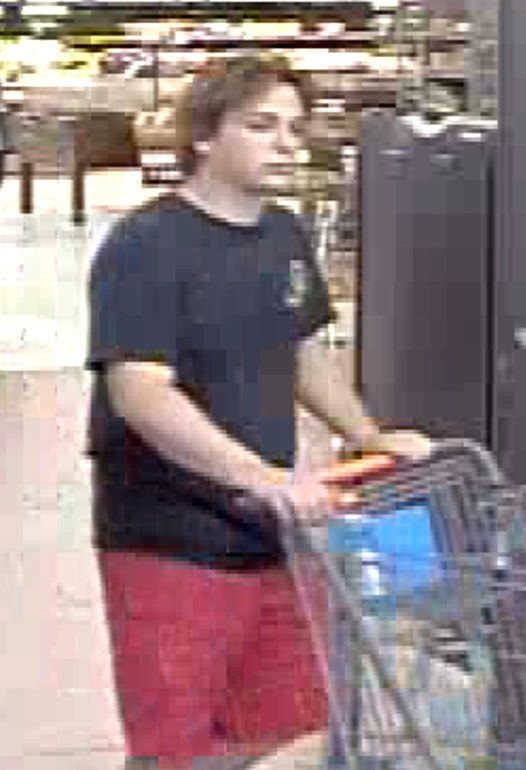 Manvel Police Department is attempting to identify the subject shown in the photos. 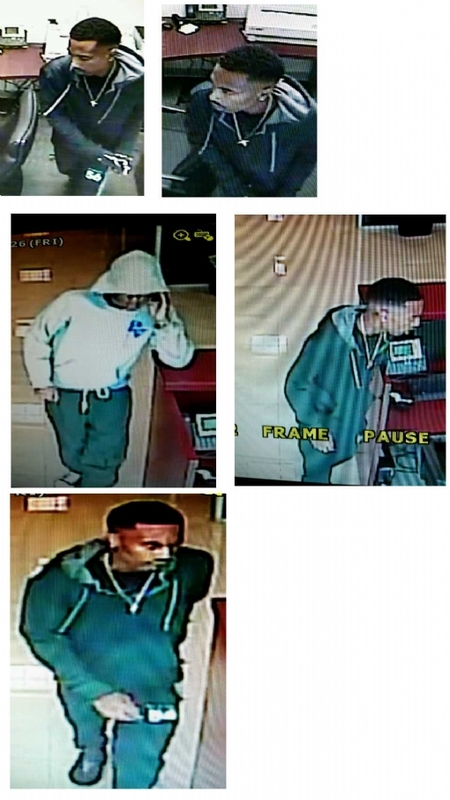 He committed a vehicle burglary at a daycare parking lot in Manvel in the early morning hours of Nov. 11, 2015. 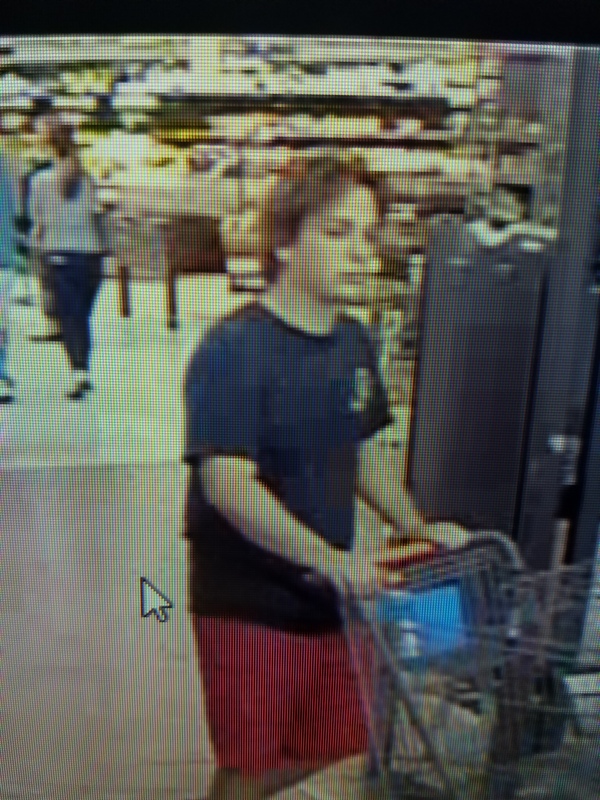 He immediately used the victim`s stolen credit cards at Walmart in Alvin and made another attempt at Home Depot in Alvin as well. 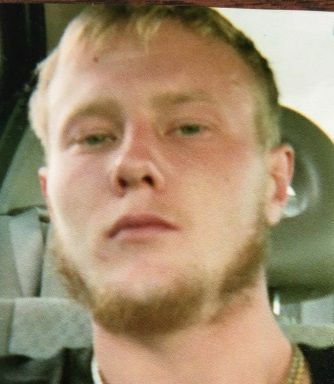 He is believed to be driving a maroon 2015-2016 Toyota Corolla, UNK license plate number. If you have any information on this suspect, please submit a tip by clicking the "Solve this Crime" link below. We will forward it to the officer in charge which are listed below. On Sunday, September 27, 2015, between 1:00 p.m. and 2:00 p.m., a car dealership located in the 3200 block of F.M. 528 Rd. in Alvin TX. was burglarized. While the business was closed, at least two black male suspects gained entry into the showrooms located in two separate buildings. 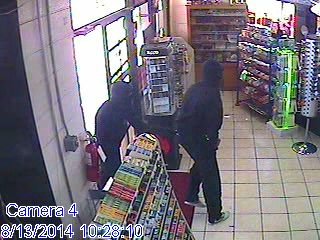 The suspects stole several sets of vehicle keys and a small safe containing an undetermined amount of cash. The suspects also attempted to cut into a second safe, but were unsuccessful. 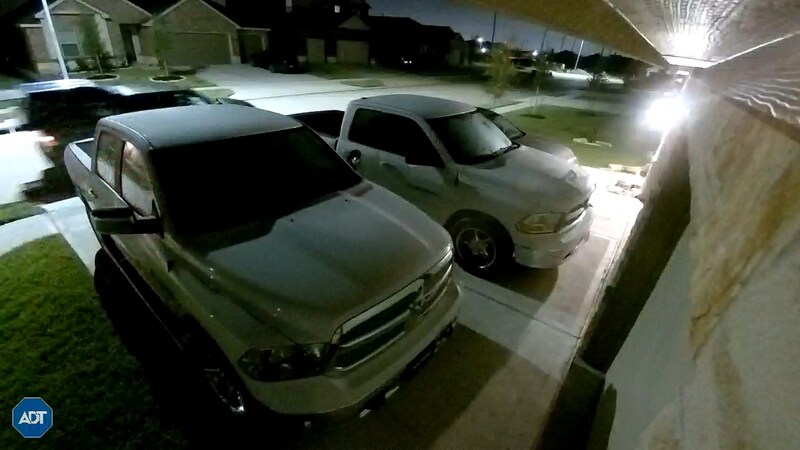 After stealing the small safe, the suspects exited the buildings and used two of the stolen sets of keys to also steal a white 2016 Dodge Ram 1500 pick-up truck and a black 2016 Ford Mustang GT. The suspects left the location in the stolen vehicles. The investigation revealed that witnesses observed the two suspects and video surveillance cameras captured images of them as well. See photos. The stolen vehicles have not been recovered. If you have any information in regards to the identities of the suspects in these photos or any information regarding this crime, please contact Det. Robert Taylor of the Criminal Investigation Division of the Alvin Police Department. 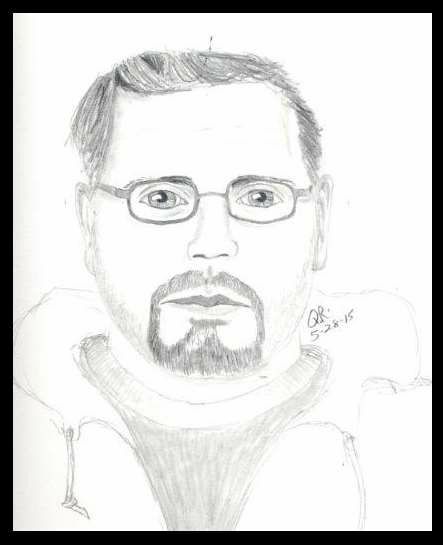 The suspect is described as an Hispanic male with a scraggly goatee. He had grayish medium length hair. He is described as a heavy set male with a thick accent. 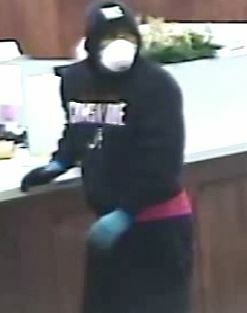 When he entered the business he was wearing grey in color sweat pants, a grey in color zip up hoodie style jacket and a navy blue in color beanie style knit cap. 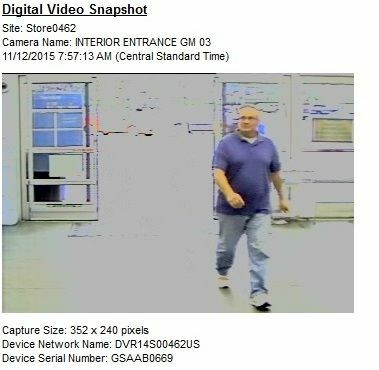 The suspect left in a newer model Chevy Malibu, tan in color. Here is an artist sketch of the suspect. Updates will be posted on the Lake Jackson Facebook page. Contact Det. Lankford at 979-415-2777 or submit an ANONYMOUS TIP on this website. 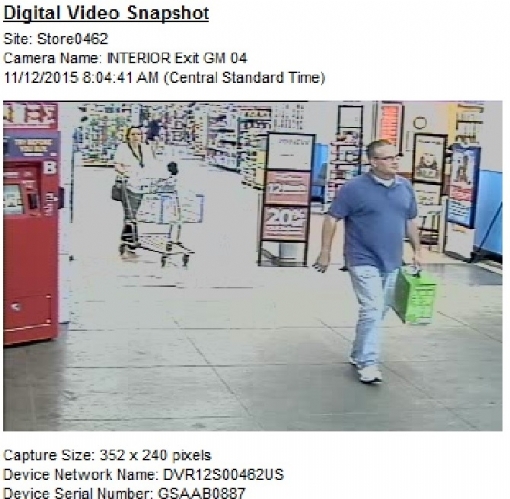 LJPD is currently looking for two individuals who are allegedly involved an identity theft case at a local retailer on 12/23/14. The victim’s credit cards used to buy gift cards by the male suspect on the left. 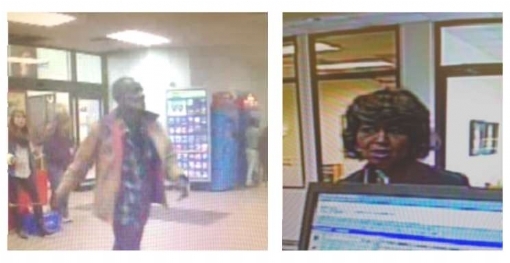 The female was seen on video making two withdrawals from a Houston branch of the victim’s bank on 1-21-15. The unknown female is also a suspect in two other cases out of Lake Jackson and believed to be the same suspect out of several cases from Pearland and the Houston area. If you have any information in this crime, please leave a tip on this website. You are also urged to contact Detective Rachael Pierce of Lake Jackson Police Department at 979-415-2743. ****UPDATE*** An arrest was made on August 13, 2014. 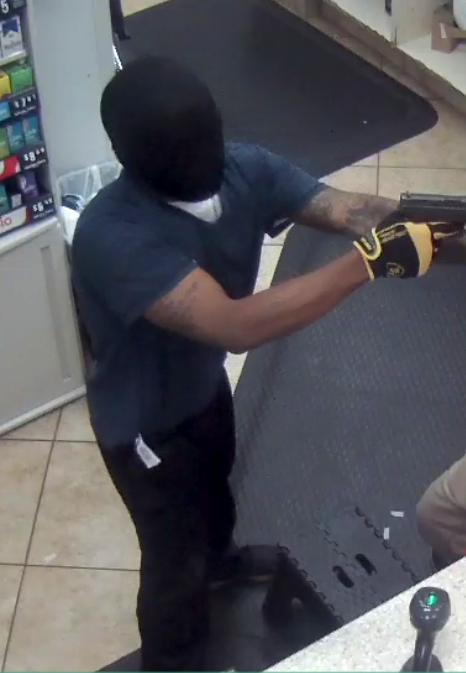 On Wednesday, August 13, 2014 at approximately 10:28 A.M. two unknown suspects wearing masks and brandishing firearms entered the Exxon located at 7218 Broadway, Pearland, Texas, 77584. The two suspects ordered the two store employees to the ground and stole money. The two suspects then fled the scene in the suspect vehicle which appears to be a small silver or white in color passenger vehicle heading southbound on FM 1128. 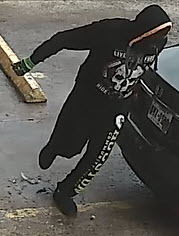 The video surveillance footage from the Texaco across the street showed that the suspect vehicle traveling northbound on FM 1128 and parking on the east side of the Exxon at approximately 10:14 A.M. The suspects sat in the vehicle in the parking lot for approximately 14 minutes before the robbery was committed. 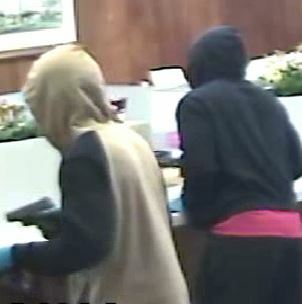 On Saturday, August 2, 2014 an aggravated robbery occured at the Oaks of Flagridge Apartments in Lake Jackson, TX. The victim was roughed up and pushed into an apartment. 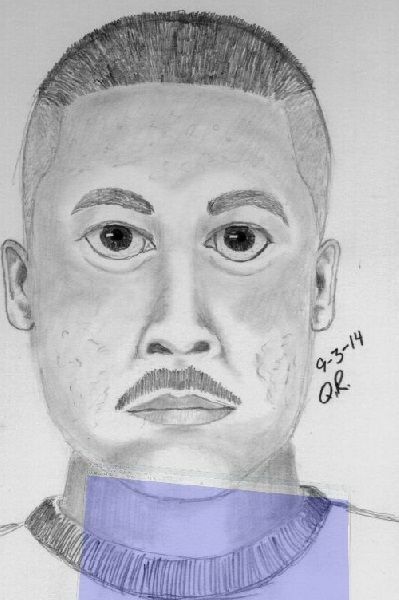 The suspect is described as a hispanic male, olive complexion with some light acne, well groomed short hair and a dark brown moustache. He is described as being approx. 5ft.9in tall, medium build. He also has a tatoo on his left forearm as seen below. If you have any information in this case, you may submit a tip by clicking below. You can also contact Detective Mc Grael at 979-415-2774 or 979-482-1111. 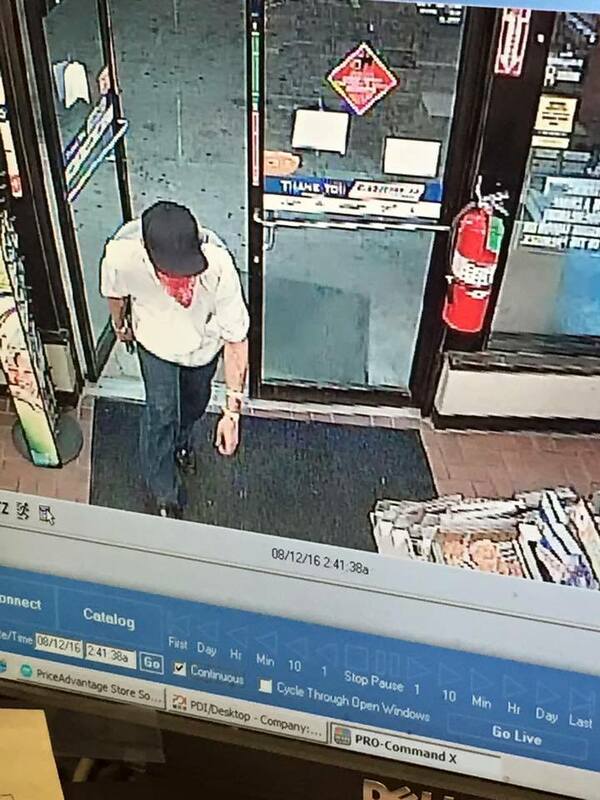 On May 7, 2014 at 2:55 AM a unidentified male entered the 711/Tetco located at 2480 S SH35, Alvin, Brazoria County, Texas and demanded money from the clerk. 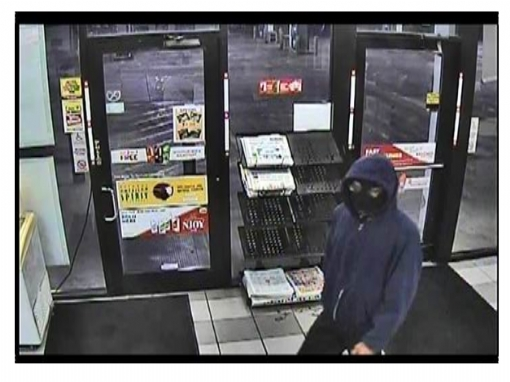 The suspect was armed with a black semi-auto pistol and was wearing a dark blue hoodie, black mask, dark jeans, with black and white, converse syle chuck taylor tennis shoes. The Lake Jackson Police department was contacted in November 2013 by a victim who advised that there were fraudulent checks written against their account. The victim advised their information had somehow been stolen and the victim believed that fake checks had been written using their personal information. Checks were passed in Lake Jackson, Bay City, and West Columbia, and throughout the Houston area. It appears that there are at least two people involved; the driver (who is never seen) and a white female, who is passing the checks. The vehicle appears to be white or silver quad cab truck. This vehicle and the female are also believed to be linked to other forgery cases as well.